Alina Grande Hotel & Resort family-run property is high on personal service and friendly staff. Located on White Sand Beach, you are on the most popular stretch of the island. Popular activities here include island hopping, elephant riding, and trekking. The tour desk can arrange for these as well as diving trips, sailing, and excursions around the island. After a day under the sun, the best way to relax is with a relaxing foot massage. Enjoy your meals at the beachfront restaurant, and as night falls, enjoy a round of drinks at the beachside bar. 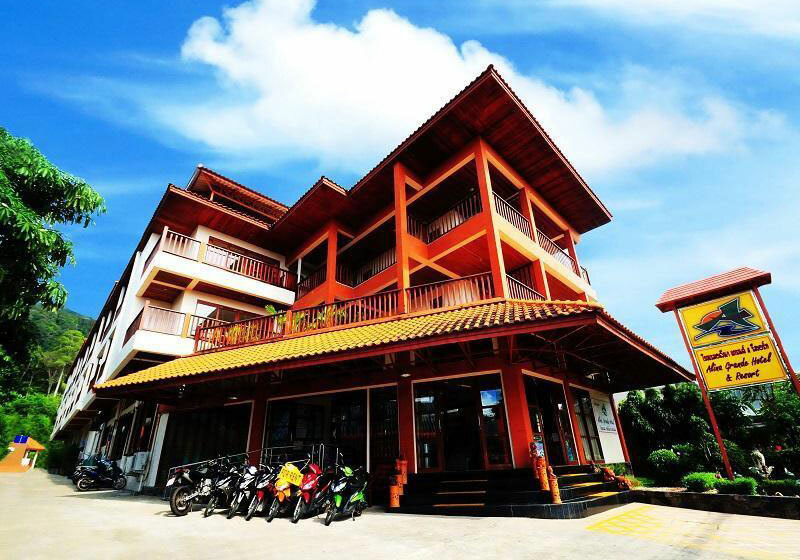 The family-run Alina Grande Hotel & Resort is a beachfront property worth checking out when looking for a hotel in Koh Chang. Short Description: Alina Grande Hotel & Resort family-run property is high on personal service and friendly staff. Located on White Sand Beach, you are on the most popular stretch of the island. Popular activities here include island hopping, elephant riding, and trekking.